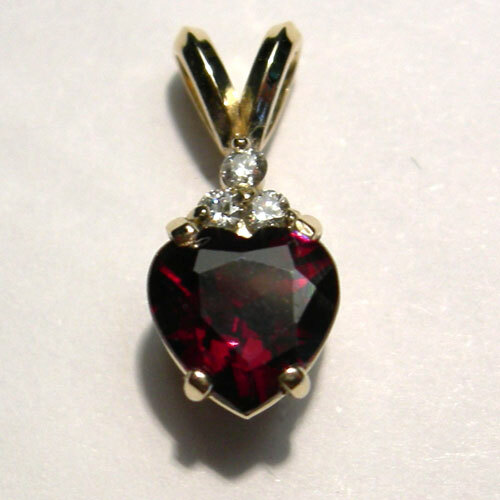 Desc: 14 karat yellow gold pendant with a heart shaped garnet and three diamonds mounted above. The garnet is the birthstone for January. We can provide the garnet enthusiast with any shape and color of garnet (contact us for details).